The purpose of this paper is to analyse the impact of the founder's human capital and alliance on promoting the growth of Korea's new technology-based venture companies. First, describe the founder's human capital, academic background, previous work experience, and output function background in attracting external providers. This article examines the role of mediation of technology-based venture business groups based on the Korean entrepreneurship. Test this hypothesis by using 170 new technology-based venture databases released to emerging companies in the Korean stock market. Research shows that the foundational experience and functional background in the relevant industry have a greater impact on resource attractiveness than on the university background. The results support the business group's positive role in new technology-based venture companies' business growth, replacing market failures, providing signals to additional resources, and achieving better performance over time for IPOs. Alliance, Business Group, New Technology Based Venture, Signalling Effect, Venture Capital. Developing countries should strengthen their research capabilities to catch up with developed countries. The activities of countries that develop, adapt and utilize innovation are critical for long-term economic performance (Ernst, 2005; Ernst and Naughton, 2008). As New Technology-Based companies (NTBVs) introduce disruptive technologies and play the role of the "creative destruction" in the economy, they are an especially important source of new jobs and provide a significant stimulus to the national economy. So the factors driving the performance are attracting not only policymakers but entrepreneurs. While there is considerable literature on the factors affecting the survival of new companies, there is relatively little interest in NTBV and less research on individual start-ups in such ventures (Colombo and Grilli, 2009). Previous studies of the impact of human capital on new robust survival often used a limited range of human capital types or inappropriate surrogates (Gimmon and Levi, 2009).NTBV requires more diverse resources for research and development and marketing to differentiate and commercialize new technologies than traditional businesses. Therefore, it is very important that NTBV get the resources it needs from its external resource owner. However, NTBV includes new uncertainties as well as the uncertainties that a typical venture company has. New technology is very uncertain in its nature (Tushman and Rosenkopf, 1992). For this reason, new technology companies are very dangerous. This uncertainty makes it difficult for external resource holders to obtain the necessary resources in the market (Colombo and Grilli, 2007; Peneder, 2008). In this situation, researchers have suggested that the human capital of the founder acts as a signal to attract Venture Capital (VC) investments and can perform better than if NTBV of VC investment is not (Colombo and Grilli, 2005:2007:2009). It is clear that VC typically provides resources to NTBV. However, venture capital systems are generally underdeveloped in developing countries. In addition, VC provides financial resources primarily due to the nature of the organization and cannot provide other resources, such as human resources, technology, or marketing. Meanwhile, the Business Group (BG) is a respectable organization that can provide a variety of resources, including finances, as well as human resources, technology or marketing. Previous research will be on the human capital (Cassar, 2006; Evans and Leighton, 1989) of the founders and the alliance with respectable organizations (Ahuja, 2000; Chang, 2004; Nulati, 1999; Nohira and Ghan, 1991). However, very few studies have looked into how the founder's human capital affects the alliance with respected organizations and how NTBV has grown significantly in its alliance with BG. The current study uses the insights of human capital theory and signaling theory to solve the research question: "To what extent does the human capital of the founders of NTBVs ally with BG and promote growth?" I use the human capital theory (Becker, 1993; Lazear, 2004; Piaza- Gorgegi, 2002) and the signal theory (Podolny, 1993; Spence and Michael, 1974; Spence, 1973) to develop predictive hypotheses on the growth factors of human capital. We then test this hypothesis using NTBV's Korea Stock Dealer Automatic Allocation (KOSDAQ) database, which was released between 2000 and 2005. The background of this study is to control various variables, to enable us to return home with human capital, and to communicate the impact on our alliance and growth. In this section, I examine literature on human capital and use signaling theory to see how the founder's human capital can have a direct impact on NTBV growth, how BG can interpret human capital signals, And how they affect each other. We suggest that the educational level, industry experience, and functional background of NTBV founders serve as quality signals for BG and increase the likelihood of growth through value in use. The theoretical model of human capital impact on partnership and growth with BG is shown in Figure 1. Piazza-Georgi (2002) has defined human capital as "the inventory of personal devices that economic agents can do at their disposal". Lauch et al. (2005) distinguished between personal work experience and personal educational experience. Other authors have demonstrated the importance of the task context by distinguishing between general capital and specific human capital (Becker, 1993; Bosma et al., 2004). Human capital attributes, including education, experience and technology, have long been claimed to be important resources for success in entrepreneurial enterprises. The human capital theory assumes that people try to get compensation for their investment in human capital. Therefore, individuals try to maximize their economic benefits in consideration of human capital. As a result, entrepreneurship may lead to a reduction in income relative to other employment opportunities, so those with higher education may not choose to become entrepreneurs (Cassar, 2006; Evans and Leighton, 1989). But once individuals begin, those who have invested more in human capital simply want to get higher compensation for human capital, so they are more likely to strive for greater growth and profits than individuals with less investment in their business is high. Otherwise, higher educated entrepreneurs will dismiss their companies and seek other, more profitable employment opportunities. Gimeno et al. (1997) argument is that human capital leads to entrepreneurial success, according to human capital theory. However, the scale of this relationship is unknown. Some authors claim that the relationship between human capital and entrepreneurial success is generally overemphasized (Baum and Silverman, 2004), while others claim that human capital is one of the key elements of the entrepreneurial process. Research has shown that research has different contexts such as conceptualization of human capital, choice of success indicators, industry, country, and age (Unger et al., 2009). It is therefore unclear what kind of human resources should be related to success in any situation. Surprisingly, as we know, none of the studies systematically investigated mediators that affect human capital and success. I give the following reasons for the positive relationship between the founder's human capital and NTBV's success. First, the relationship between human capital and success is higher in new technology. The new technology industry involves the use of sophisticated and complex technologies and requires extensive knowledge and research in a generally dynamic and uncertain environment (Khandwalla, 1976; Utterback and O'Neill, 1994). Because knowledge and available information reduce uncertainty associated with innovation and dynamic environments, human capital should be particularly helpful in knowledge-intensive industries (Kirzner, 1997; McMullen and Shepher, 2006). Second, the relationship between human capital and success is higher for startups than for mature projects. High human capital helps those owners learn new tasks and roles and adapt to new situations. In contrast, owners of mature businesses have "track records", routines, and established practices that they can refer to. Over time, variables other than the owner's human capital may become more important. Finally, the relationship between human capital and success is higher in developed countries than in developed countries. In developing countries, human resources are more heterogeneous and more subtle than highly developed countries. Therefore, human capital is more likely to have a competitive advantage in developing countries. It is clear that human capital is important for NTBV's success, but the scale of these relationships can still be different. In recent years, related research has introduced the mediator role of resource holders to explain the magnitude of this relationship (Colombo and Grilli, 2005). NTBV needs a variety of resources such as finance, people, technology and marketing to differentiate existing technologies and commercialize new technologies. It is therefore very important for NTBV to obtain the necessary resources from the external resource owner. However, NTBV includes not only the uncertainties inherent in the general venture business, but also additional uncertainties due to the nature of the new technology. Undeveloped markets follow unanticipated turns; hightech technologies disappear far more often than do promised technological conversions; technology is very quickly declining, and unanticipated kinks derail once-promising development projects (Tushman and Rosenkopf, 1992). For this reason, new technology companies are very dangerous. This uncertainty makes it difficult for external resource owners to provide resources to the NTBV, making it difficult for the market to obtain the necessary resources (Colombo and Grilli, 2007; Peneder, 2008). Given this situation, signaling theory researchers suggest that the founder's human capital serves as a signal to attract VC's investment. Therefore, NTBVs that attract VC investments can achieve higher performance than others. In developed countries, market-based transactions provide access to the most demanding resource elements such as finance, human resources, and technology. Relatively efficient capital and labor markets, easy access to complementary business services and a relatively corrupt government, allow private entrepreneurs to finance capital, hire human resources, learn about customer demand, and be able to act. On the other hand, in developing countries where many of these institutions are relatively weak, BG controls a significant portion of a country's production assets and accounts for the country's largest and most prominent company. They can therefore contribute to technological innovation through intangible assets such as corporate reputation and government connections by replacing the functions provided by individual institutions in developed countries. There are few viable VC companies in the developing world. In addition, VC companies mainly provide financial resources according to the nature of the organization and cannot provide other resources such as human resources or technology. Meanwhile, BG is a respectable organization that can provide various resources such as human resources, technology, and market as well as finance. Therefore, in developing countries, NTBV can work with BG to secure the necessary resources. So why should BG partner with NTBV? Strategic scholars have long emphasized the importance of complementary resources and have argued that firms tend to create value when working with companies that can complement their weaknesses (Hamel et al., 1989; Teece, 1996). Complementarity in new technology is best explained from a learning perspective (Dodg, 2000), although complementarity as a driver of alliance formation can be observed in many industrial settings (Chong et al., 2000; Noria and Garcia-Pont, 1991). The most important motivation of relationship learning is environmental uncertainty. That is, the organization builds relationships to avoid environmental uncertainty. Organizations are motivated to focus on collaborative research that mitigates environmental uncertainty. Thus, relationships not only passively adapt to changing environments, but also develop competitive advantage in strategic interactions through collaboration and collaborative research (Dyer and Singh, 1998). In order to cope with uncertainty, it is essential to develop innovative new technology in BG that leads the business. It is more effective for large corporations to cooperate with NTBV on the basis of strategic relationship rather than new technology development. Indeed, technological innovation occurs more often in alliances between BG and NTBV in industries with high uncertainty (Powell et al., 1996). What is BG's judgment when evaluating NTBV's potential capabilities? Because NTBV does not have business track records, resource holders are highly uncertain when evaluating potential functionality. Like VC, BG is a business resource owner who takes great risks to high profits. Therefore, BG is also uncertain in assessing the potential capability of NTBV. In recent years, academic interests have changed as a different indicator of the quality and potential of a young company, that is, the background of the company's top echelon. This study is based on a well-established study of kelnons at the top of a company that has been reviewed in existing well-established companies. This more recent study found that the composition of the board of directors and top management of young companies could have a positive impact on the ability to attract key stakeholders and achieve good performance in the market. For example, when CEOs have a good track record, companies are more likely to receive more support from creditors, better IPO performance, and more likely to gain support for the famous underwriter (Higgines, 2003). The basic mechanism proposed for this positive effect is to inform legitimacy through the upper part of the company through Ceron 2003 (D'Aveni, 1990; Higgines and Gulati, 2003:2006). In the context of an alliance, this suggests that the top-level structure and characteristics of an enterprise may also affect the ability of an alliance to acquire an alliance. Indeed, previous research on the semiconductor industry has shown that large companies, experienced and well-connected top management-led companies are allied at a higher rate. Especially for NTBV, the founder's human resources are a very important signal to attract financial resource owners, such as VC, who have a decisive influence on the survival and growth of NTBV (Colombo and Gil, 2007). Likewise, our research suggests that the founder's human capital will be a very important signal to attract business volunteers such as BG, which has a decisive impact on the survival and growth of NTBV in developing countries. When I consider the level of education as a cognitive bias index, studies with a cognitive perspective suggest that the level of education is positively related to acceptance of innovation (Guthrie et al., 1991; Wiersema and Belant, 1992). On the basis of this, top management's research suggests that the amount of management is not positively related to innovation (Bantel and Jackson, 1989; Finkstein and Hambrick, 1996; Hambrick, 1996). However, the level of founder education and venture performance are inconsistent. Roberts (1991) proposed a U-shaped relationship between new venture performance and educational attainment, such as increasing master's degrees and dropping achievements to doctoral degrees, mainly because high scholars are mainly pursuing research. Stewart and Abetti (1988) also found that entrepreneurs with doctoral degrees had lower scores than companies with master's degrees. But Roberts (1991) noted industry-specific exceptions to his discovery: Founders with doctoral degrees seemed to be more successful in biotechnology, which was then an emerging industry (Podolny, 2008). It is necessary to consider the situation in all empirical studies (Bates, 1995; Honig, 1998) because the impact of the educational level on the performance of ventures can vary depending on the nature of the business environment. Innovative strategies are needed to deliver high performance in very uncertain environments, such as new technology (Khan and Manopicetwattana, 1989; Scererer and Ross, 1990; Zahra and Bogner, 2000). Thus, in NTBVs, the higher the founder's education level, the faster the venture business managed by such founders will grow. In the new technology field, BG works with NTBV to take advantage of features that are partially or completely lacking. The bigger the BG, the more bureaucratic and not innovative. Therefore, in the new technology field, BG must complement its innovative functions in the form of alliances through NTBV. To this end, it is very important for BG to judge the innovative features of NTBV in order to successfully lead the alliance with NTBV. However, BG is struggling to evaluate innovative capabilities because NTBV lacks track records. In this situation, NTBV's founder's high level of education can be a signal that NTBV has a highly innovative function for BG. H2: NTBVs of founders with a higher level of education are more likely to collaborate with BGs than any others. Human capital research argues that managers' experiences can be a potential asset for a company. But the founder's previous experience with industry is crucial to the success of the new venture. (Colombo and Grilli 2005) Chief executives' relevant industry experience not only gains information and knowledge about suppliers, customers, opportunities, threats, competition and regulations, but also helps them acquire the networking they need for survival (Kor 2003). Obtaining such skills and knowledge in the field of information technology is difficult because the field itself is at an early stage in the circulation of relevant information and knowledge. And because there are fewer top managers with relevant industry experience, the relevant industry experience of the top managers can be a competitive asset that competitors cannot imitate because they are not readily available on the market (Castanias and Helfat 1991). NTBV has difficulty building relationships with vendors and industry customers because of lack of legitimacy and uncertain business. Given this situation, the founder's relevant industry experience can facilitate establishing relationships with suppliers or customers, which again reduces the risk of failure (Cooper et al. 1994; Stinchcombe 1965). Studies have suggested that founders with no relevant industry experience increase the risk of failure, especially in new technology areas, while the founder's relevant industry experience positively affects the growth of venture firms (Bruderl et al. 1992; Colombo and Grilli 2005; Cooper et al. 1994). H3: NTBVs of founders with relevant industry experience are more likely to grow faster than any others. In the new technology field, BG expects NTBV to have the information and knowledge that BG lacks. Studies suggest that entrepreneurs with relevant industry experience have much information and knowledge about the industry and are more likely to succeed in joint research and development. Therefore, in the new technology field, BG intends to obtain information and knowledge in the form of federation from NTBV. To this end, BG must successfully lead the alliance between BG and NTBV by judging NTBV's expertise in the field. However, because NTBVs lack track record, it is very difficult for BG to evaluate the specialty. In this situation, NTBV's founder's relevant industry experience may be a signal to BG that industry expertise lacks BG. H4: NTBVs of founders with relevant industry experience are more likely to collaborate with BGs than any others. The skills that founders have can be explained by their functional background. Functional background knowledge will not influence management's strategic choices, but it is expected to have some impact. For example, Dearborn and Simon (1958) found that when an executive group from different business areas presented the same problem (case study) and asked them to consider it in an enterprise-wide goal, they mainly defined the problem . The functional backgrounds are categorized into three categories, the first two of which are based on the Open Systems View (Katz and Kahn 1978) and coincide with the functional areas described by Miles et al. (1978). Marketing, sales, product R & D, and other "output" features emphasize growth and seeking new domain opportunities to monitor and coordinate products and markets. "Processing" functions, i.e. production, process engineering and accounting, are used to improve the efficiency of the conversion process. A third functional category was proposed by Hayes and Abernathy (1980), which noted that more and more executives dominate key sectors such as law and finance, which are not integrated with the core activities of the organization. Of the three areas, the two previous areas are somewhat distinct from the emphasis, and individuals working within it are likely to develop distinct directions for the company and its environment (Lawrence and Lorsch 1967; Miles et al, 1978). Hambrick and Mason (1984) therefore proposed that the level of CEO output capability experience would be positively related to strategies such as product innovation, related diversification, advertising, or forward integration that emphasizes growth. Hambling and Mason (1984) suggested that output experience would be positively associated with profitability in a turbulent and differentiable industry. Murray (2004) emphasizes the importance of human resources in R&D for the contributions of scientists. Previous research suggests that the founder's R&D experience affects the survival and growth of NTBV (Colombo and Grilli 2009b; Roberts 1991). In particular, Colombo and Grilli (2005) argue that R & D or marketing experience has a positive impact on NTBV growth. Because NTBV operates businesses based on new technologies and markets, it needs more R & D or marketing capabilities from its founders than a general venture. H5: NTBVs of founders with an output function background are more likely to grow faster than any others. The new technology sector is characterized by emerging technologies and markets. R&D and the market have challenges to be competitive. BG also faces these problems. They expect NTBV to be able to solve problems in R&D and marketing that are lacking in BG. As a result, BG needs to learn problem solving skills from NTBV in a new technology alliance. To this end, BG judges NTBV's ability to solve problems to successfully form an alliance between BG and NTBV. However, BG is struggling to assess its ability to solve problems because NTBV lacks track records. In this situation, NTBV founder’s output function background can be a signal that NTBV is doing research and development (R & D) or BG has market problem solving capability. H6: NTBVs of founders with an output function background are more likely to collaborate with BGs than any others. A related study has two perspectives on how the alliance with BG promotes the growth of NTBV. First, through strategic alliances, large corporations are resource holders that provide resources to venture companies. Venture companies should build market households considering technology competitiveness and marketing factors. BG, which has strong branding and financial strength, can provide a sales channel to NTBV with limited resources. BG provides guidance on generation and productivity, and sometimes funds for NTBV (Ahuja 2000; Noria and Garcia- Pont 1991; Pisano 1989; Powell et al., 1996). This support of BG has a positive effect on the performance of NTBV. In addition, many studies show that strategic alliances have a positive impact on NTBV's diverse performance. For example, San et al. (1994) show that cumulative coordination of biopharmaceuticals positively affects their performance as measured by patent outcomes. Stuart and Abetti (1988) show that many technical alliances of venture firms and their partner innovations positively affect patent and sales growth rates. Chang (2004) argues that the IPO time is shortened as the size of the network of partnerships of Internet ventures increases. At the same time, the strategic alliance between venture firms and BGs induces the supply of resources from passive resource holders, which in turn allows venture firms to supplement the resources they need and produce good products. Since venture companies do not have sufficient records, the social structure of business relationships can affect their business value. Therefore, since this is a very important factor in assessing the likelihood of success, it is very important for venture companies to establish business relationships with reputable partners. By forming a strategic alliance with a very reputable partner, venture companies can benefit from that reputation and attract resources from their owners. Stuart et al. (1999) and Stuart (2000) argue that the reputation of strategically allied partners provide the endorsement. Stuart et al. (1999) argue that as the uncertainty of ventures increases, the endorsement effect which strategic alliances provides increases. Furthermore, Chang (2004) shows that in the internet industry, the reputation of the alliance partner of the ventures provides the role of endorsement. Especially, Podolny and Stuart (1995) argue that if BGs adopt some new technology, it can be widely used by achieving social recognition. In a sense, BG can be defined as a reputable business partner. They often control much of the productive assets of a country and describe the largest and most prominent company in the country. (Granovtter 1995; Khanna and Palepu 1997). Unlike in developed countries, BG can provide resources for venture technology innovation because it eliminates the gap caused by market failure, thus affecting the survival and growth of venture companies. Thus, due to the high uncertainty of NTBV, resource owners have difficulty in directly evaluating the value of NTBV and thus are reluctant to provide resources. Given this situation, partnership with BG plays a role in allowing resource holders to positively assess the likelihood of NTBV survival and growth. This authorization will encourage resource owners to provide resources to the NTBV, resulting in better performance. As I suggest, the human capital characteristics of founders would influence the growth of NTBVs and lure alliances with BGs. In addition, relevant studies maintain that BGs provide their tangible and intangible resources to NTBVs and induce passive resource holders to provide their resources, and so in turn NTBVs can acquire the necessary resources to perform well. Therefore, we raise the possibility of a link between the human capital characteristics of founders and the subsequent alliance formation with a business group, facilitating the growth of the NTBV. H7: NTBVs of founders with a higher level of education can grow faster by collaborating with a business group than any others. H8: NTBVs of founders with the relevant industry experience can grow faster by collaborating with a business group than any others. H9: If NTBVs of founders with an output function background can grow faster by collaborating with a business group than any others. Initially, the target survey sample consists of 1,253 KOSDAQ listed companies from July 1, 1996 to December 31, 2005. Data was collected from DART (Data Analysis, Retrieve and Transfer System). DART Transfer Analysis, Search and Transfer System) is an electronic disclosure system that enables companies to submit their public disclosures through (www.dart.fss.or.kr). We supplemented the database by various methods such as newspaper articles, publications and company homepage and company telephone. To define the final sample for analysis, we had to consider changes in economic conditions as the century changed. As the IT industry grew rapidly in the 1990s, Korea's business venture companies developed and became the first IT companies established since the 1990s (Q & A, 2008). Since July 1996 when the KOSDAQ market began, the government has continued to relax the listing requirements for the KOSDAQ market in order to encourage the supply of listed companies. However, the KOSDAQ market collapsed in the early 2000s. Rapid market restructuring has prompted IT companies to plunge in share prices. Internet companies were hit hardest elsewhere. Also, the restructuring was insufficient and the market factors worsened due to the mistake of the venture manager and the unfair transaction in the KOSDAQ market. The rapid rebound in the overall venture industry has led the government to raise the registration standards for the KOSDAQ market. The KOSDAQ market was undervalued from the beginning of 1999 to the first half of 2000 through the collapse of the so-called "IMF financial crisis" and the dot-com stock market from July 1, 1996 to the end of 1998. Therefore, we also limited samples to companies listed on or after July 1, 2000 to eliminate any unusual bias due to dramatic changes in these market conditions. After the CEO removed the companies that were not founders or major shareholders, they prepared and analysed final samples of 170 KOSDAQ listed companies. Korean commercial law defines about 900 firms with assets of over 2 trillion Won as a business group. More generally, they regard the 30 largest firms ranked by assets as so called ‘Chaebols’, announced by the Fair Trade Commission from 1995 to 2005. A strategic alliance with a BG includes supply agreements, joint R&D, share participation, and joint ventures. We define large companies as the 30 largest firms ranked by assets. This research defines a BG as an enterprise among the 30 largest firms as declared by the Fair Trade Commission. We use a binary variable to measure a strategic alliance with a BG that takes on the value of 1 if allied with BGs (strategic alliance with BG=1) and 0 otherwise (no strategic alliance with BG=0). NTBVs exploit business opportunities with differentiated technology in areas of rapid technological change. NTBVs are under a higher level of uncertainty than existing firms, thus, they lack sufficient financial resources for R&D and marketing compared to existing firms. An IPO allows a firm to tap a wide pool of investors to provide it with capital for future growth, repayment of debt, and/or working capital. And once a firm is listed, they are able to enhance their reputation by introducing the firm’s value outside of the firm. But, IPO firms sometimes exhibit a decline in post-issue operating performance because there is potential for higher agency conflicts, lower ownership retention, and IPO expenses (Degeorge and Zeckhauser 1993; Jain and Kini 1994). Despite these drawbacks, NTBVs have no choice but to implement IPOs as a crucial strategy and try to reduce the time required to IPO. Researchers thus adopt the IPO event as a measure for the rate of the NTBVs’ growth (Chang 2004; Stuart et al., 1999). The time to IPO is measured by months since the date of founding. We take the logarithm of this variable for the adjustment of scale. A founder’s level of formal education is calculated based on a classification of the founder’s information according to two levels. The higher level is a master’s or doctorate degree. The lower level is an undergraduate degree or lower. The previous work experience takes on the value 1 if a founder has worked in a related industry before and 0 otherwise. The functional background takes on the value 1 if a founder’s undergraduate major or career experience is in output functions and 0 otherwise. Characteristics of industry sub-types affect venture firm’s time to IPO (Chang 2004; MacMillan et al., 1985; Stuart et al., 1999). The market stage also influences on alliance formation (Eisenhardt and Schoonhoven 1996). We defined an IT firm as the firm assigned an IT index when listed on KOSDAQ. IT KOSDAQ index classifies communications and broadcasting, IT software, and IT hardware. Communications and broadcasting includes communications services and broadcasting services. IT software covers internet, software, computer services, and digital contents whereas IT hardware covers communications equipment, IT equipment, and semiconductor, and components. Stock market conditions influence the time to IPO (Chang 2004; Ritter 1984; Stuart et al., 1999). Founders and financial investors tend to decide to go public because high subsequent investment returns are expected from the buoyant stock market for IPOs. The IPO process in Korea usually takes 3 months. We thus measure the stock market condition as the composite stock exchange index of KOSDAQ from 3 months before the IPO date. I control for firm size. Firm size is used to account for the greater resources and choices available to larger firms with a greater ability to invest in technology and innovation as well as potential scale advantages (Scherer and Ross 1990). We measure firm size as the log (10) of yearly sales just before the IPO. Previous research suggested that the investment of VC affects the time to IPO. Gompers and Lerner (1997, 2001) argue that venture firms that have obtained VC investment go public faster than firms without VC investment. Venture firms endorsed by VC can secure additional financial resources at the proper time, thus they can grow relatively fast. In addition, venture firms endorsed by VC attain rapid growth, because VC often helps venture firms by providing non-financial resources such as marketing support, managerial advice, human resources supply, and alliance arrangements with potential customers and suppliers, all of which can increase the chance that these start-ups become successful. An endorsement by a respectable VC investor also signals the quality of a venture firm. By doing so, the endorsing organization’s legitimacy carries over to the recipient, providing it credibility, contact, and support for the founders, building a start-up’s image, and facilitating the start-up’s access to resources. Therefore, the reputation of VC helps venture firms go to IPO faster (Gompers 1996; Yoon et al., 2005). We use a binary variable to measure VC support that takes on the value of 1 if it received VC (VC investment=1) and 0 otherwise (no VC investment=0). Table 1A and Table 1B present means, standard deviations, and correlations for the measures. VIFs (variance inflation factors) for all the regression models are less than 2, which are well below the guideline of 10 recommended (Chatterjee and Hadi 2006). Note: N=170; * P<0.05; ** P<0.01. The features of the sample firms are described as follows. The yearly sales just before the IPO are 315 billion won on average and we can tell those firms are SMEs. In the IT industry, less than 1% of firms are in communications and broadcasting, 47% of the firms are in the IT software (internet, software, computer services, and digital contents), and 49 % of the firms are in IT hardware (communications equipment, IT equipment, semiconductors, and components). 75% of the firms obtained VCs investment and 51 % of the firms had alliances with BGs. For the independent variables, the founders with a master’s or doctoral degree are 29%, with an output background are 46%, and with related industry experience are 45%. The dependent variable, the time to IPO, it is 6.2 years on average. Survival analysis was employed to test Hypotheses 1 through 3, and 7 through 9. We use the time to IPO as a dependent variable. A longitudinal statistical analysis method may be used both in the analysis of qualitative and quantitative data (Tuma and Hannan 1984). The dependent variable of this analysis method is the time to the occurrence of an event or the rate of an event occurring that a researcher is interested in. This study adopts the Cox Regression Model, which is a widely used statistical model to investigate the complex relationship between survival time and other factors. Logistic regression was employed to test Hypotheses 4 through 6. We added the alliance with a BG as a dependent variable. We conduct logistic regression because the dependent variable is measured not on a quantitative scale, but on a qualitative scale. The binary variable of the alliance with BG follows binominal distribution, not normal distribution. To test the mediating role of the alliance with a BG, the present study adopts the four steps of Baron and Kenny (1986). Baron and Kenny (1986) suggest four steps to establish mediation. As Figure 2 shows, step 1 requires that the independent variable is significantly related to the dependent variable; step 2 requires that the independent variable is significantly related to the mediator; step 3 requires that the mediator affects the dependent variable while controlling for the effect of the independent variable. 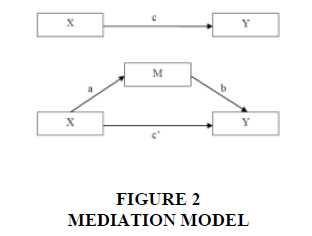 And finally, when these conditions are satisfied, step 4 requires that the effect of the independent variable on the dependent variable is insignificant when controlling for the mediator in order to indicate complete mediation; otherwise partial mediation is indicated. The effects in both steps 3 and 4 are estimated in the same regression equation. Model 1 tests the relationship stated in Hypotheses 1, 3 and 5 which explain control variables, independent variables of a founder’s human capital, and the dependent variable of time to IPO. Among the control variables, the effect of industry sub-type characteristics, stock market conditions, and firm-size on time to IPO is not significant. However, the effect of VC investment on the time to IPO is negatively significant as expected (β = -0.477; |P| < 0.05). The relationship between related-industry experience of a founder and time to IPO is negatively significant at β = -0.503, |P| < 0.01, supporting Hypothesis 3 and the interaction effect between output functional background of a founder and time to IPO is negatively significant at β = -0.692, |P|< 0.01 supporting Hypothesis 5. However, the relationship between level of education of a founder and time to IPO is not significant, failing to support Hypothesis 1. Model 2 tests the relationships stated in Hypotheses 2, 4 and 6, which explain control variables, independent variables of a founder’s human capital, and the dependent variable of an alliance with a BG. The effects of control variables are not significant. The interaction effect between related-industry experience of a founder and alliance with a BG is positively significant at β =1.155, |P|< 0.01, supporting Hypothesis 4, and the interaction effect between output functional background of a founder and alliance with a BG is positively significant at β =1.235, |P|< 0.01supporting Hypothesis 6; however, the interaction effect between level of education of a founder and alliance with a BG is not significant, failing to support Hypothesis 2. In the final step of the mediation analysis, NTBV growth was regressed on founder’s related-industry experience and output functional background, alliance with a BG and the control variables. Model 3 indicates that the negatively significant relationship (β = -0.503, |P|<0.01) between related-industry experience and time to IPO becomes weaker (β = -0.345, |P| <0.05) when the alliance with a BG (β = -1.500, |P| < 0.01) is entered into the equation. Also the negatively significant relationship (β = -0.692, |P| < 0.01 between output functional background and time to IPO becomes weaker (β = -0.477, |P| < 0.01) in the same manner. As a conclusion, the alliance with a BG has a partial mediating effect on the relationship between related-industry experience and output functional background and time to IPO. Hypotheses 8 and 9 were supported. The key to the tested model can be summarized as follows: (1) the founder's human capital will affect the growth of NTBV; and (2) the founder's human capital can have a significant impact on the alliance with BG. The founder's previous working experience in the relevant industry and production functional backgrounds leads to good NTBV growth and partnership with BG, while the founder's academic background does not affect the company's growth and partnership with BG. Literature often suggests that the level of education is positively related to acceptance of innovation, above the main one. (Guthrie et al., 1991; Wiersema and Bantel 1992). Thus, the innovative nature of the founder in the NTBV situation can provide a positive signal to the BG that considers the alliance, which again promotes NTBV growth. However, our statistical analysis shows that the educational background of founders does not have a significant impact on the choice of BG's alliance partners. However, the founder's previous working experience in the relevant industry and production functional backgrounds has a statistically significant signaling effect on BG's decision when selecting an alliance partner. Some findings are consistent with statistical results. Kimmon and Levy (2009) argue that NTBV's survival is meaningless for its founder's advanced education. Colombo and Grilli (2005) suggest that economic/business or science/engineering education has a positive impact on NTBV growth. This suggests that the founder's relevant industry knowledge and skills stemming from the output functional background are a more important component of NTBV performance than academic performance. This empirical result implies that the founder's specific knowledge and skills through relevant industry experience and output functional background have a significant impact on the growth of NTBV, but such an academic background is not. However, empirical studies are inconclusive. Gimmon and Levie (2010) argue that the level of academic achievement of entrepreneurs encourages venture capital investment. These conflicting results can be explained by the difference between BG and venture capital strategies. The financial objective of VC is to maximize capital gains from investments, but the partnership with NTBV is to develop innovative technologies with NTBV to nurture new businesses. BG prefers the functional capabilities of its founders through the information and knowledge it possesses through relevant industry experience and the output functional background for the unspecified innovative tendencies. Economists speculate that various BGs can exist only if there is no market that works well. Therefore, BG will be more important in emerging economies. In emerging economies, BG provides intangible resources such as human resources, technology and marketing as well as financial resources for NTBV through the alliance. As a result, partnerships with BG can accelerate growth of NTBV. This paper contributes to theories and literature on entrepreneurship and strategy in emerging economies by developing and testing an intervention model that provides an explanation of NTBV performance relationships. First, human capital was the area where NTBV performance is more likely to improve. We examined several variables of the founder's human capital that positively impact NTBV performance. The specific knowledge of the founder or specific functional background is important for NTBV growth rather than abstract orientation. Second, in terms of signalling theory, it is important to understand resource providers who are tempted to link the third resource holder with the founder's human capital and NTBV growth in emerging economies. This study found that the specific knowledge of the founders or the specific functional background had a greater impact on attracting alliances with the BG than the abstract propensity. The study also examines the mediating role of BG for NTBV growth in emerging countries. Because of the barriers to market in emerging countries, BG offers a variety of resources to NTBV and serves as a positive signal to other resource owners. Some limitations of this study and guidelines for future research are also worth noting. First, we adopt time for IPO as a means for venture performance. The relevant study measures the time for IPO as an indicator of NTBV growth (Chang 2004; Deeds et al., 1997; Stuart et al., 1999). We believe that this event is a meaningful medium of NTBV performance because it requires a lot of financial resources to maintain the consistency of venture companies. This measure is not perfect because not all venture companies decide to disclose. As a result, we recognize that there are limitations in using time for IPO as performance metrics. Second, I believe that further investigation of social capital of the NTBV founder should be ensured to better understand the meaning of the signalling mechanism. Previous research shows that the social capital of founders in the framework of government incubator programs is weak as shown by the insignificant effects of social capital in attracting external resources (Green et al., 1999; Honig, 2006). However, from a different perspective on social capital, the effectiveness of signalling of other variables, such as reputation and reputation, should be investigated (Harrison et al., 2004). Additional limitations take into account the limited variables that explain the founders' human capital. Various forms of human resources, such as entrepreneurial mind-set and learning skills, can be understood as a solid resource applying the signalling theory. Baum (2009) raises the question of the argument that a high level of technical education will lead to more entrepreneurial thinking and learning. Future studies will have the advantage of considering such variables to assess whether the link to various types of human capital affects performance as an enterprise evolves. Finally, the use of various dependent variables will greatly improve our understanding of the founder's signalling mechanisms. This study adopts time for IPO as a dependent variable to investigate the effectiveness of the founder's signal delivery of human capital. Previous studies measuring NTBV performance along with market value in the IPO process (Stuart et al., 1999) showed that the impact of resource holder assessment mechanisms on IPOs and businesses in a timely manner. Time for IPO is a robust performance indicator, which suggests how for resource holders, including VC and BG, it can play an important role as a signal that promises the performance of IPOs used in the growth phase of venture. Previous studies claim that authors, institutional investors, and individual investors act like signs, thus influencing the market value of IPO. These signalling effects could help new ventures that have not yet been proven feasible. Therefore, further research is needed to understand the exact nature and extent of these relationships. In particular, additional investigation is needed to test the effectiveness of the founder's human capital and alliance with BG, which has a good reputation for evaluating NTBV in IPO. Ahuja, G. (2000). The duality of collaboration: Inducements and opportunities in the formation of inter-firm linkages. Strategic Management Journal, 21(3), 317-343. Audretsch, D.B. (1995). Innovation and industry evolution. Cambridge: The MIT Press. Bantel, K.A., & Jackson, S.E. (1989). Top management and innovations in banking: Does the composition of the top team make a difference? Strategic Management Journal, 10(1), 107-124. Baron, R.M., & Kenny, D.A. (1986). The moderator–mediator variable distinction in social psychological research: Conceptual, strategic, and statistical considerations. Journal of Personality and Social Psychology, 51(6), 1173-182. Bates, T. (1995). Self-employment entry across industry groups. Journal of Business Venturing, 10(2), 143-156. Baum, J.A.C., & Silverman, B.S. (2004). Picking winners or building them? Alliance, intellectual, and human capital as selection criteria in venture financing and performance of biotechnology startups. Journal of Business Venturing, 19(3), 411-436. Baumol, W.J., Schilling, M.A., & Wolff, E.N. (2009). The superstar inventors and entrepreneurs: How were they educated? Journal of Economics and Managment Strategy, 18(3), 711-728. Becker, G.S. (1964). Human capital. New York: Columbia University Press. Becker, G.S. (1993). Human capital. A theoretical and empirical analysis with special reference to education: Chicago: University of Chicago Press. Bosma, N., Van Praag, M., Thurik, R., & De Wit, G. (2004). The value of human and social capital investments for the business performance of startups. Small Business Economics, 23(3), 227-236. Bruderl, J., Preisendorfer, P., & Ziegler, R. (1992). Survival chances of newly founded business organizations. American Sociological Review, 227-242. Cassar, G. (2006). Entrepreneur opportunity costs and intended venture growth. Journal of Business Venturing, 21(5), 610-632. Castanias, R.P., & Helfat, C.E. (1991). Managerial resources and rents. Journal of Management, 17,(1), 155-71. Chang, S.J. (2004). Venture capital financing, strategic alliances, and the initial public offerings of internet startups. Journal of Business Venturing, 19(5), 721-741. Chatterjee, S., & Hadi, A.S. (2006). Regression analysis by example. New Jersey: John Wiley and Sons. Colombo, M.G., & Grilli, L. (2005). Founders' human capital and the growth of new technology-based firms: A competence-based view. Research Policy, 34(6), 795-816. Colombo, M.G., & Grilli, L. (2007). Funding gaps? Access to bank loans by high-tech start-ups. Small Business Economics, 29(1), 25-46. Colombo, M.G., & Grilli, L. (2009). A capital partnership: How human and venture capital affect the growth of high tech start ups. Strategic Change, 18(7), 231-239. Colombo, M.G., & Grilli, L. (2009). On growth drivers of high-tech start-ups: Exploring the role of founders' human capital and venture capital. Journal of Business Venturing, 25(6), 610-626.
Cooper, A.C., & Bruno, A.V. (1977). Success among high-technology firms. University of Illinois at Urbana-Champaign's Academy for Entrepreneurial Leadership Historical Research Reference in Entrepreneurship. Cooper, A.C., Gimeno-Gascon, F.J., & Woo, C.Y. (1994). Initial human and financial capital as predictors of new venture performance. Journal of Business Venturing, 9(5), 371-395. D'aveni, R.A. (1990). Top managerial prestige and organizational bankruptcy. Organization Science, 1, 121-142. Dearborn, D.W.C., & Simon, H.A. (1958). Selective perception: A note on the departmental identifications of executives. Sociometry, 21(2), 140-44. Deeds, D.L., Decarolis, D., & Coombs, J.E. (1997). The impact of firm-specific capabilities on the amount of capital raised in an initial public offering: Evidence from the biotechnology industry. Journal of Business Venturing, 12, 31-46. Degeorge, F., & Zeckhauser, R. (1993). The reverse lbo decision and firm performance: Theory and evidence. Journal of Finance, 48(4), 1323-1348. Dyer, J.H., & Singh, H. (1998). The relational view: Cooperative strategy and sources of interorganizational competitive advantage. Academy of Management Review, 23(4), 660-679. Eisenhardt, K.M., & Schoonhoven, C.B. (1996). Resource-based view of strategic alliance formation: Strategic and social effects in entrepreneurial firms. Organization Science, 7(2), 136-150. Ernst, D. (2005). Pathways to innovation in asia's leading electronics-exporting countries-a framework for exploring drivers and policy implications. International Journal of Technology Management, 29(1), 6-20. Ernst, D. & Naughton, B. (2008). China's emerging industrial economy: Insights from the it industry. London: New York: Routledge. Evans, D.S., & Leighton, L.S. (1989). Some empirical aspects of entrepreneurship. The American Economic Review 79(3), 519-35. Gimeno, J., Folta, T.B., Cooper, A.C., & Woo, C.Y. (1997). Survival of the fittest? Entrepreneurial human capital and the persistence of underperforming firms. Administrative Science Quarterly, 42, 750-783. Gimmon, E., & Levie, J. (2009). Instrumental value theory and the human capital of entrepreneurs. Journal of Economic Issues, 43(3), 715-732. Gimmon, E., & Levie, J. (2010). Founder's human capital, external investment, and the survival of new high-technology ventures. Research Policy, 39(9), 1214-26. Gompers, P.A. (1996). Grandstanding in the venture capital industry. Journal of Financial Economics, 42(1), 133-56. Gompers, P.A., & Lerner. J. (1997). Risk and reward in private equity investments. The Journal of Private Equity, 1 (2), 5-12. Gompers, P.A., & Lerner, J. (2001). The money of invention: How venture capital creates new wealth. Boston: Harvard Business Press. Green, P.G., Brush, C.G., & Hart, M.M. (1999). The corporate venture champion: A resource-based approach to role and process. Entrepreneurship Theory and Practice, 23, 103-122. Gulati, R. (1999). Network location and learning: The influence of network resources and firm capabilities on alliance formation. Strategic Management Journal, 20(5), 397-420. Guthrie, J.P., Grimm, C.M., & Smith, K.G. (1991). Environmental change and management staffing: An empirical study. Journal of Management, 17( 4), 735-748. Hambrick, D.C., & D'aveni, R.A. (1992). Top team deterioration as part of the downward spiral of large corporate bankruptcies. Management Science, 38(10), 1445-1466. Hambrick, D.C., & Mason, P.A. (1984). Upper echelons: The organization as a reflection of its top managers. Academy of Management Review, 9(2), 193-206. Hamel, G., Doz, Y.L., & Prahalad, C.K. (1989). Collaborate with your competitors and win. Harvard Business Review, 67(1), 133-139. Harrison, R.T., Cooper, S.Y., & Mason, C.M. (2004). Entrepreneurial activity and the dynamics of technology-based cluster development: The case of ottawa. Urban Studies, 41(6), 1045-1070. Hayes, R.H., & Abernathy, W.J. (1980). Managing our way to economic decline. Harvard Business Review, 58(4) 138-149. Higgins, M.C., & Gulati, R. (2003). Getting off to a good start: The effects of upper echelon affiliations on underwriter prestige. Organization Science, 14(3), 244-263. Higgins, M.C., & Gulati, R. (2006). Stacking the deck: The effects of top management backgrounds on investor decisions. Strategic Management Journal, 27(1), 1-25. Honig, B. (1998). What determines success? Examining the human, financial, and social capital of jamaican microentrepreneurs. Journal of Business Venturing, 13(5), 371-394. Honig, B., Lerner, M., & Raban, Y. (2006). Social capital and the linkages of high-tech companies to the military defense system: Is there a signaling mechanism? Small Business Economics, 27(4), 419-437. Jain, B.A., & Kini, O. (1994). The post-issue operating performance of ipo firms. Journal of Finance, 49(5), 1699-1726. Katz, D., & Kahn, R.L. (1978). The social psychology of organizations. New York: Wiley. Khan, A.M., & Manopichetwattana, V. (1989). Innovative and noninnovative small firms: Types and characteristics. Management Science, 35(5), 597-606. Khandwalla, P.N. (1976). Some top management styles, their context and performance. Organization and Administrative Sciences, 7(4), 21-51. Khanna, T., & Palepu, K. (1997). Why focused strategies may be wrong for emerging markets. Harvard Business Review, 75(4), 41-51. Kirzner, I.M. (1997). Entrepreneurial discovery and the competitive market process: An Aaustrian approach. Journal of economic Literature, 35(1), 60-85. Kor, Y.Y. (2003). Experience-based top management team competence and sustained growth. Organization Science, 14(6), 707-719. Lawrence, P.R., & Lorsch, J.W. (1967). Differentiation and integration in complex organizations. Administrative Science Quarterly, 12(1), 1-47. Lazear, E.P. (2004). Balanced skills and entrepreneurship. The American Economic Review, 94(2) 208-211. Macmillan, I.C., Siegel, R., & Narasimha, P. (1985). Criteria used by venture capitalists to evaluate new venture proposals. Journal of Business Venturing, 1(1),119-128. Mcmullen, J.S., & Shepherd, D.A. (2006). Entrepreneurial action and the role of uncertainty in the theory of the entrepreneur. The Academy of Management Review, 31(1), 132-152. Miles, R.E., Miles, G., & Snow, C.C. (2005). Collaborative entrepreneurship: How communities of networked firms use continuous innovation to create economic wealth. Standford: Stanford University Press. Miles, R.E., Snow, C.C., Meyer, A.D., & Coleman Jr. H.J. (1978). Organizational strategy, structure and process. Academy of Management Review, 3, 546-562. Murray, F. (2004). The role of academic inventors in entrepreneurial firms: Sharing the laboratory life. Research Policy, 33(4), 643-659. Peneder, M. (2008). The problem of private under-investment in innovation: A policy mind map. Technovation, 28(8), 518-530. Piazza-Georgi, B. (2002). The role of human and social capital in growth: Extending our understanding. Cambridge Journal of Economics, 26(4), 461-479. Podolny, J.M. (1993). A status-based model of market competition. American Journal of Sociology, 98, 829-872. Podolny, J.M. (2008). Status signals: A sociological study of market competition. Princeton: Princeton University Press. Podolny, J.M., & Stuart, T.E. (1995). A role-based ecology of technological change. American Journal of Sociology 100, 1224-60. Rauch, A., Frese, M., & Utsch, A. (2005). Effects of human capital and long‐term human resources development and utilization on employment growth of small‐scale businesses: A causal analysis1. Entrepreneurship Theory and Practice, 29(6), 681-698. Ritter, J.R. (1984). The hot issue market of 1980. Journal of Business, 57, 215-40. Roberts, E.B. (1991). Entrepreneurs in high technology: Lessons from mit and beyond. New York: Oxford University Press. Roure Modesto, A., & Juan, B. (1986). Linking prefunding factors and high-technology venture success: An exploratory study. Journal of Business Venturing, 1(3), 295-306. Scherer, F.M., & Ross, D. (1990). Industrial market structure and economic performance. Boston: Houghton Mifflin. Selnes, F., & J. Sallis. 2003. Promoting relationship learning. Journal of Marketing, 67(3), 80-95. Sexton, D.L., & Bowman, N. (1985). The entrepreneur: A capable executive and more. Journal of Business Venturing, 1(1), 129-140. Shan, W., Walker, G., & Kogut, B. (1994). Interfirm cooperation and startup innovation in the biotechnology industry. Strategic Management Journal, 15(5), 387-394. Spence, A.M., & Michael, A. (1974). Market signaling: Informational transfer in hiring and related screening processes. Cambridge: Harvard University Press. Spence, M. (1973). Job market signaling. The Quarterly Journal of Economics, 87(3), 355-374. Stinchcombe, A.L. (1965). Organizations and social structure. Handbook of organizations, 44(2), 142-193. Stuart, R., & Abetti, P.A. (1988). The field study of technical ventures part III: The impact of entrepreneurial and management experience on early performance. In Bruce, A., Kirchhoff, Wayne, A., Long, W.., McMullan, E.D., Karl, H., William E., & Wetzel, Jr. (eds. ), Frontiers of Entrepreneurship Research, pp.177-93. Boston: Wellesley. Stuart, T.E. (2000). Interorganizational alliances and the performance of firms: A study of growth and innovation rates in a high technology industry. Strategic Management Journal, 21(8), 791-811. Stuart, T.E., Hoang, H., & Hybels, R.C. (1999). Interorganizational endorsements and the performance of entrepreneurial ventures. Administrative Science Quarterly, 44(2), 315-349. Teece, D.J. (1996). Firm organization, industrial structure, and technological innovation. Journal of Economic Behavior & Organization, 31(2), 193-224. Timmons, J.A., & Bygrave, W.D. (1986). Venture capital's role in financing innovation for economic growth. Journal of Business Venturing, 1(2), 161-176. Tuma, N.B., & Hannan, M.T. (1984). Social dynamics: Models and methods. New York: Academic Press. Tushman, M.L., & Rosenkopf, L. (1992). Organizational determinants of technological change: Toward a sociology of technological evolution. Research in Organizational Behavior, 14, 311-331. Unger, J.M., Keith, N., Hilling, C., Gielnik, M.M., & Frese, M. (2009). Deliberate practice among south african small business owners: Relationships with education, cognitive ability, knowledge, and success. Journal of Occupational and Organizational Psychology, 82(1), 21-44. Weick, K.E. (1996). Drop your tools: An allegory for organizational studies. Administrative Science Quarterly, 41(2), 301-313. Wiersema, M.F., & Bantel, K.A. (1992). Top management team demography and corporate strategic change. Academy of Management Journal, 35(1), 91-121. Yoon, B., Koo, H. & Lee, K. (2005). The offering price times of ipos and the certification role of venture capitalists in KOSDAQ. Journal o f Entrepreneurship and Venture Studies, 8(3), 3-26. Zahra, S.A., & Bogner, W.C. (2000). Technology strategy and software new ventures' performance: Exploring the moderating effect of the competitive environment. Journal of Business Venturing, 15(2), 135-173. Zimmerman, M.A., & Zeitz, G.J. (2002). Beyond survival: Achieving new venture growth by building legitimacy. Academy of Management Review, 27, 414-431.